A new roof is a big investment, so before you hire a professional roofing contractor, you need to ask some questions. Getting estimates from roofers is easy, but the one who says they’ll do the job the fastest and cheapest, may not be the right choice. 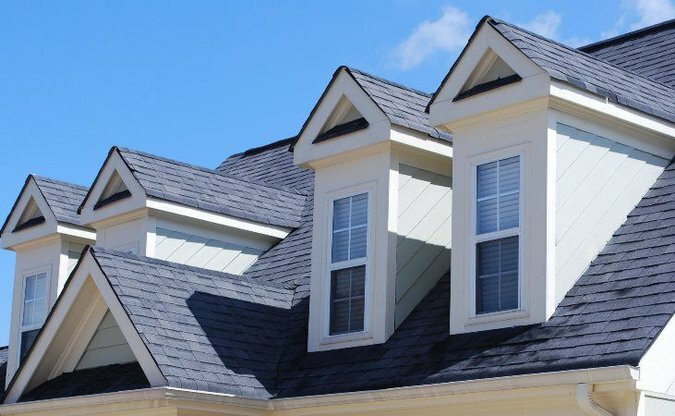 When you’re looking for the right roof installation company, a few questions, and a little homework, will help you make sure you get the best roof for your investment. Most contractors offer a list of only those past customers they know are happy with their work. Ask for a list of their last three customers instead. It’s imperative to reach out to recent ones because their experience is probably the best barometer of what you can expect. Also, ask the contractor to provide references from at least two clients with roofing projects that took place more than three years ago. These clients will give you a better idea of the long-term quality of their roof installations and how the contractor handled callbacks and repair issues. Just because a contractor is fairly new doesn’t mean that the company isn’t good, but in the roofing industry, longevity is a pretty good indicator of quality and service. A company won’t be in business for 10 or 20 years or more unless they develop a strong and happy base of customers. A roofing contractor should carry commercial liability insurance to protect his clients from events that can happen during a project. Many contractors include a certificate of insurance when they submit their estimate. If they don’t, ask to see a copy of the contractor’s policy and call the phone number on the policy to speak to the insurance agency and see if it’s still in force. 4. Do They Meet the Manufacturer’s Qualifications? The manufacturers of some roofing materials require special training or certification before they let a contractor install their materials. Ask the contractor which products the company is qualified to install. In general, the more roofing products a contractor is qualified for installation, the better your odds are of getting the best product for your roofing project. 5. Do They Have the Manufacturer’s Specification Sheets? Ask the contractor if they supply copies of the manufacturer’s spec sheets. These spec sheets contain the proper installation methods and detail what types of fasteners, adhesives or other materials work with the roofing product. The specification sheets serve as an excellent reference for inspecting the roof in the future. Ask the contractor to give you a copy of the manufacturer’s warranty for the roofing materials. This warranty not only lets you know your rights regarding any defective products, it also details what can void the warranty. For example, not performing regular preventative maintenance or using the wrong type of fasteners or adhesive could void a manufacturer’s warranty. Does the roofing installation company offer any additional warranty? If they do, find out how long the warranty is in effect and what it covers. Reputable, professional contractors offer workmanship warranties that cover issues that come from shoddy installation methods. 8. What is their Scope of Work? What is the roofing contractor’s scope of work? Can they offer you a variety of roofing options? While it might be counterproductive to hire a roofing contractor that performs a lot of other services, like pouring concrete, installing pools or installing flooring, it’s in your best interest to have a roofing contractor that provides a variety of roof-related options. Do they offer solar solutions? Will you have a value-engineered roofing system? 9. Will Subcontractors Perform Some of the Work? Some roofing companies handle the entire project, but others depend on subs to perform some of the work. 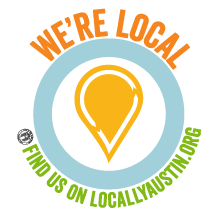 If they use subcontractors, ask for each subcontractor’s contact information, certification, proof of insurance and references. The roofing company should include subcontractor bids as a part of the larger estimate. If a subcontractor is going to be used, will the main contractor manage the crew on-site? 10. Do They Have a Maintenance Program? Find out if the roofing company offers a preventative maintenance program. Regular inspections and minor repairs protect the life of your new roof by finding and fixing potential problems before they become bigger ones. 11. What Type of Worker Knowledge do They Have? How does the roofing company train its crews? Do newly hired crew members go through a probationary period while they learn? Does the company train its workers in OSHA safety procedures? Are the crew members skilled in installing the type of roof you need? Proper worker training is important, not only for a high quality roof, but also to minimize the risk of injury to the workers and to anyone else in or near the work zone. 12. Do They Inspect for Quality? How does the roofing contractor ensure quality workmanship? Building codes determine some types of inspections, and depending on the rules and regs in your community, a building compliance inspector might come out and check the project at certain stages. It’s important for the roofing company to have a knowledgeable foreman available to check the roof during installation and after its completed. What trade associations does the roofing contractor belong to? Most reputable, professional roofing companies have memberships in a few trade and professional associations. These could be industry-specific, such as state and national roofing contractor boards, or they could be in related industries such as associations that serve commercial building owners or owners/managers of shopping malls, restaurants, warehouses and other large-scale facilities. Memberships in a variety of associations show the contractor’s commitment to their customer’s needs. 14. Is this Roofing Contractor a Safety Liability? Ask the contractor to see a copy of their safety records. They should be able to provide a copy of their EMR rating as well as OSHA logs from recent years. A contractor lacking a solid commitment to safety can be a very serious liability to your property or facility and should be avoided. 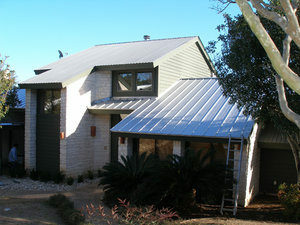 Here at Armadillo Roofing & Exteriors, (512) 333-7663, your questions are always welcome. We understand that your new roof is a major investment, and we want you to feel comfortable every step of the process. Our business relationship are always based on honesty, trust and a serious commitment to quality.